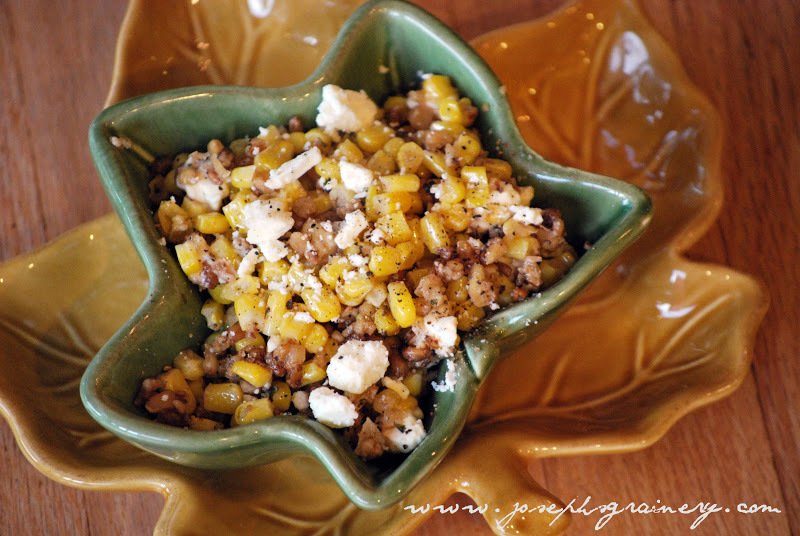 Here's another fun way MaMa and I came up with to mix things up a bit this Thanksgiving with some whole grains...had you ever thought about adding wheat berries to your corn? Wouldn't this be more fun to serve on Turkey Day than just regular ol' corn? 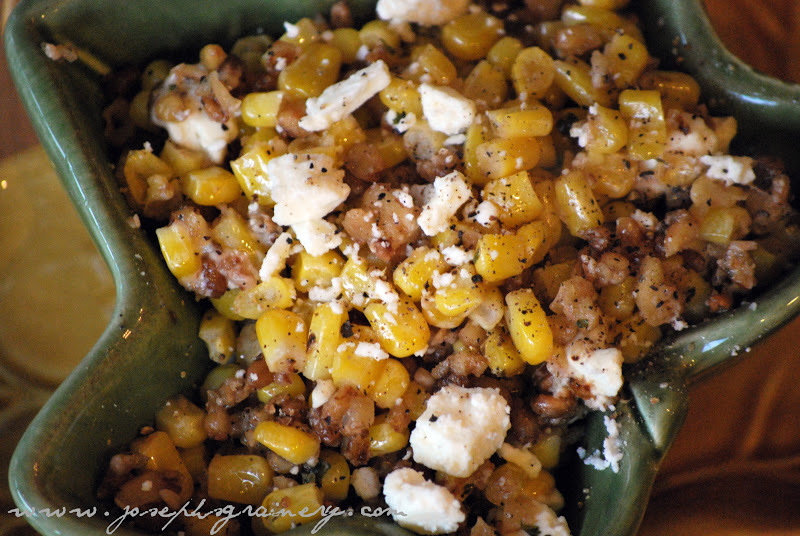 A fun way to jazz up your typical corn side dish. In a skillet over medium heat warm the olive oil. Add the chopped walnuts, wheat berries and garlic and let cook for for about 5 minutes or until fragrant. In a large bowl combine the corn, wheat berry and walnut mixture and remaining ingredients. Season to taste and sprinkle with Feta before serving. Did you hear? 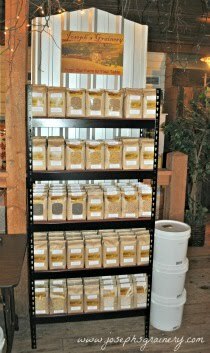 Blooming on Bainbridge is raving about our Multigrain Pancake Mix!